Some people believe that government funding of the arts is necessary to ensure that the arts can flourish and be available to all people. Others believe that government funding of the arts threatens the integrity of the arts. The well-being of a society is enhanced when many of its people question authority and tyrannical leaders. Surely there has been no time in history where the daily lives of people have changed more dramatically over a single lifetime. A quick reflection on a typical day reveals how technology has revolutionized the world. Most people commute to work in an automobile that runs on an internal combustion engine. During the workday, the chances are high that the employee will interact with a computer that processes information on silicon bridges that are 14 nanometres wide or even less. Upon leaving home, family members can be reached through wireless networks that utilize signals from artificial satellites orbiting the Earth. All of these common occurrences were nothing short of inconceivable at the turn of the 19th century. However, this reliance on technology does not necessarily preclude the creativity that marks the human species. The prior examples reveal that technology allows for convenience. The car, computer, and phone all release additional time for people to live more efficiently. This efficiency does not preclude the need for humans to think for themselves. In fact, technology frees humanity to not only tackle new problems but may itself create new issues that did not exist without technology. For example, the proliferation of automobiles has introduced a need for fuel conservation on a global scale. With increasing energy demands from emerging markets, global warming becomes a concern inconceivable to the horse-and-buggy generation. Likewise, complete dependence on oil has created nation-states that are not dependent on taxation, allowing ruling parties to oppress minority groups and women. Solutions to these complex problems require the unfettered imagination of maverick scientists and politicians. In contrast to the statement, we can even see how technology liberates the human imagination. Consider how the digital revolution and the advent of the internet have allowed for an unprecedented exchange of ideas. WebMD, a popular internet portal for medical information, allows patients to self-research their symptoms for a more informed visit to the physician's chamber. This exercise opens pathways of thinking that were previously closed off to the medical layman. With increased interdisciplinary interaction, inspiration can arrive from the most surprising corners. Jeffrey Sachs, one of the architects of the UN Millenium Development Goals, based his ideas on emergency care triage techniques. The unlikely marriage of economics and medicine has healed tense, hyperinflation environments from South America to Eastern Europe. The last example provides the most hope with how technology actually provides hope to the future of humanity. By increasing our reliance on technology, impossible goals can now be achieved. Consider how the late 20th century witnessed the complete elimination of smallpox. This disease had ravaged the human race since prehistorical times, and yet, with the advancements in inoculation technology, free-thinking humans dared to imagine a world free of smallpox. Using technology, battle plans were drawn out, and the disease was systematically targeted and eradicated. Technology has always distinguished humans from other living beings, from the discovery of fire to the implementation of nanotechnology. Given the history of the human race, there will be no limit to the number of problems, both new and old, for us to tackle. There is no need to retreat to a Luddite attitude to new things, but rather embrace a hopeful posture to the possibilities that technology provides for new avenues of human imagination. In all actuality, I think it is more probable that an over-dependence on technology will cause our bodies to deteriorate long before our minds do, in any significant amount. Who can't say that technology has made us lazier, but that's the key word, lazy, and not foolish. The ever-increasing amount of technology that we incorporate into our daily lives makes people think and learn every day, possibly more than ever before. Our abilities to think, learn, philosophize, etc. may even reach limits never dreamed of before by average people. Using technology to solve problems will continue to help us realize our potential as a human race. If you think about it, using technology to solve more complicated problems gives humans a chance to expand their thinking and learning, opening up whole new worlds for many people. Many of these people are glad for the chance to expand their horizons by learning more, going to new places, and trying new things. If it wasn't for the invention of new technological devices, I wouldn't be sitting at this computer trying to philosophize about technology. It would be extremely hard for children in much poorer countries to learn and think for themselves with out the invention of the internet. Think what an impact the printing press, a technologically superior machine during its time, had on the ability of the human race to learn and think. Right now we are witnessing a golden age of technology, using it all the time during our everyday lives. Inventions like the washing machine, microwave and air-conditioner have made life considerably more convenient and comfortable. However, we aren't allowing our minds to deteriorate by using them, we are only making things easier for ourselves and saving time for other important things in our day. Think of the brain power and genius that was used to come up with and improve on every single invention that has conceptualized across the globe. Using technology to solve our continually more complicated problems as a human race is definitely a good thing. Our ability to think for ourselves isn't deteriorating, it's continuing to grow, moving on to higher though functions and more ingenious ideas. The ability to use what technology we have is an example. The 6.0 scoring essay presents a very insightful position on the issue and follows the instructions by presenting reasons to support the position. The essay also effectively links ideas effortlessly and substantiates all clams with relevant examples. The essay makes use of grammatically correct, idiomatic English, and has a logical structure. The second essay too develops a clear position and supports it with simple but relevant examples. The essay as a whole flows smoothly and errors are minor, however, being more concise, the ideas aren't as elaborately presented as in the first essay and the linking of ideas isn't as seamless as the first essay. Moreover, the conclusion seems abrupt and leaves a lot to the imagination. In surveys Mason City residents rank water sports (swimming, boating, and fishing) among their favorite recreational activities. The Mason River flowing through the city is rarely used for these pursuits, however, and the city park department devotes little of its budget to maintaining riverside recreational facilities. For years there have been complaints from residents about the quality of the river's water and the river's smell. In response, the state has recently announced plans to clean up Mason River. Use of the river for water sports is therefore sure to increase. The city government should for that reason devote more money in this year's budget to riverside recreational facilities. Building upon the implication that residents do not use the river due to the quality of the river's water and the smell, the author suggests that a river clean up will result in increased river usage. If the river's water quality and smell result from problems which can be cleaned, this may be true. For example, if the decreased water quality and aroma is caused by pollution by factories along the river, this conceivably could be remedied. But if the quality and aroma results from the natural mineral deposits in the water or surrounding rock, this may not be true. There are some bodies of water which emit a strong smell of sulphur due to the geography of the area. This is not something likely to be afffected by a clean-up. Consequently, a river clean up may have no impact upon river usage. Regardless of whether the river's quality is able to be improved or not, the author does not effectively show a connection between water quality and river usage. A clean, beautiful, safe river often adds to a city's property values, leads to increased tourism and revenue from those who come to take advantage of the river, and a better overall quality of life for residents. For these reasons, city government may decide to invest in improving riverside recreational facilities. However, this author's argument is not likely significantly persuade the city goverment to allocate increased funding. The problem with the arguement is the assumption that if the Mason River were cleaned up, that people would use it for water sports and recreation. This is not necessarily true, as people may rank water sports among their favorite recreational activities, but that does not mean that those same people have the financial ability, time or equipment to pursue those interests. However, even if the writer of the arguement is correct in assuming that the Mason River will be used more by the city's residents, the arguement does not say why the recreational facilities need more money. If recreational facilities already exist along the Mason River, why should the city allot more money to fund them? If the recreational facilities already in existence will be used more in the coming years, then they will be making more money for themselves, eliminating the need for the city government to devote more money to them. According to the arguement, the reason people are not using the Mason River for water sports is because of the smell and the quality of water, not because the recreational facilities are unacceptable. If the city government alloted more money to the recreational facilities, then the budget is being cut from some other important city project. Also, if the assumptions proved unwarranted, and more people did not use the river for recreation, then much money has been wasted, not only the money for the recreational facilities, but also the money that was used to clean up the river to attract more people in the first place. If you compare both the essays, the perfect 6.0 scoring essay shows that each assumption is highly suspect. In addition to this, the essay itself is very carefully organized. And although there are minor errors, they don’t obstruct the writer’s ideas. On the other hand, the second essay, despite being well-written on the whole, identifies two unstated assumptions and makes some extraneous, unsupported assertions of its own. We hope you have developed a clear idea of how to write perfectly worded essays from the samples provided above. To know some important tips of writing issue and argument essays, click here. 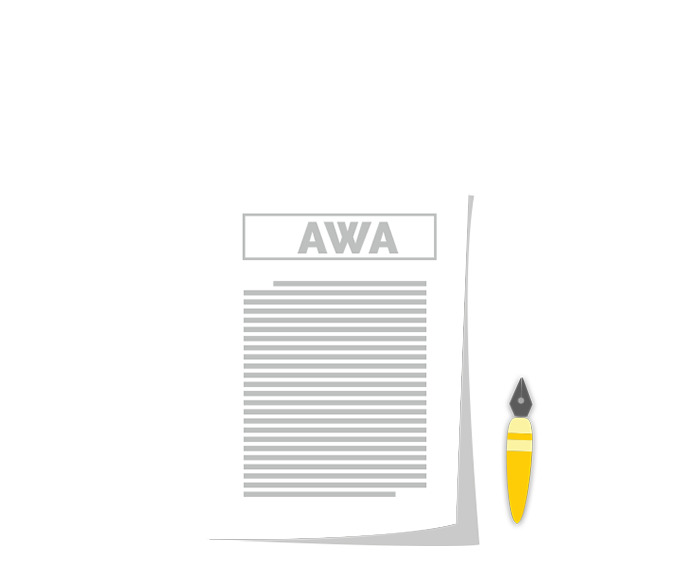 Download your FREE eBook on AWA essay writing, now!